Ms.Winkly is a HR app for SME entrepreneurs and managers to handle their employee’s online. 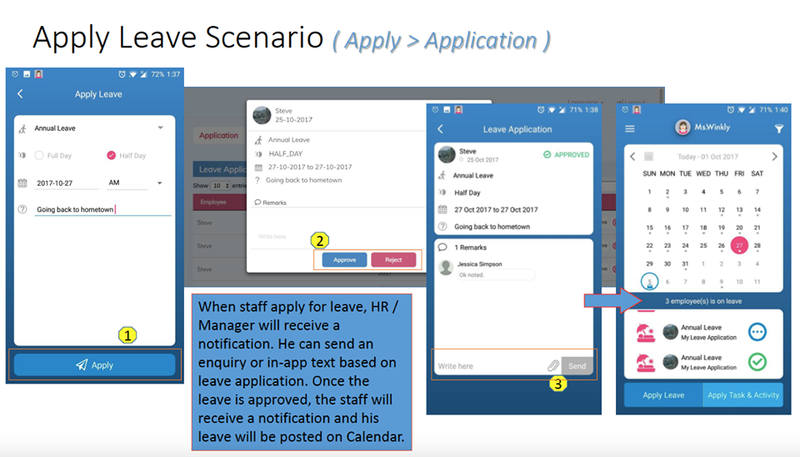 The app lets you manage your employee’s attendance, leaves applications, claim and more in one platform. 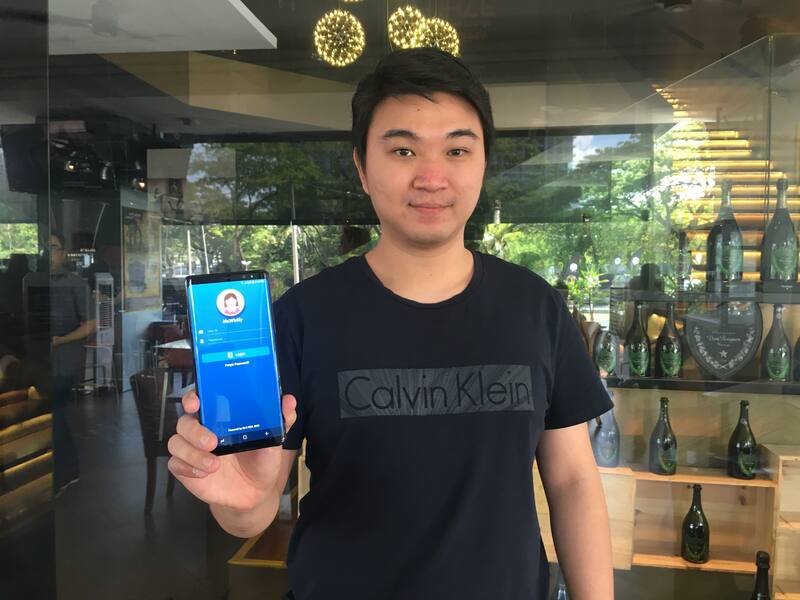 The app currently runs on a freemium model, with the highest rate at RM5/month for one user. Today marks the launch of another player into the local online HR platform scene. We’ve featured a few brands before, all with the sole purpose of making it more convenient and simple for companies to handle their HR services—and here’s the latest one for you to consider. Inspired by their own annoyance of needing to handle their HR processes through the traditional pen and paper method, the team from Global Line Network (a digital startup that provides a sales and distribution platform to clients) decided it was a wiser choice to digitalise everything and make things more efficient. They started by creating a mobile-based Human Resources Management System (HRMS) just for their internal use. However, people around them began to take interest. They were drawn in when they saw some of the team members use the app to take leave or make use of the task application feature outside of the office. “Curiosity brought in inquiries and demand started to come in day by day. Therefore, we decided to launch Ms.Winkly commercially. Fun fact, the name was chosen because Winkly is our HR manager,” said Diyanah, the Marketing Lead Manager from Global Line Network. We also asked if Ms. Winkly got to keep her job post-app, and good news, she did. Ms.Winkly is essentially a human resource management app that lets entrepreneurs from SMEs and young startups as well as HR managers handle most of the HR processes on one platform. The app runs on a Software as a Service (SaaS) distribution model, so companies can easily make use of the platform to monitor their employees performance and productivity accordingly. Since the features are all made for online use, there is the element of a cost-saving aspect on the documentation part. You can manage and track your employees leaves and anything related to it, such as the different types of entitlement they’re allowed based on their position, the amount of leaves taken, and approvals of the leaves. For the employees, they can use the app to apply for their leaves on-the-go. If you’re looking to track the amount of hours your employee has put in, Ms.Winkly helps to manage the employee database, which includes the work hours of employee, their punch-in and punch-out working hours, as well as the estimated amount of total working hours per day or week. The employees can check in and out, anywhere and anytime. I wondered whether this would cause an issue with trust but the team explains that in the backend, there is a GPS tracker that you could take a look at to ensure there’s no lying going around. Ms.Winkly automates the process for claim management, so your employees can skip the excel sheets or printing any forms. They can capture the receipt and upload it via the app. The claims will be calculated automatically and they have an advanced mileage claim system that will calculate the claim amount according to the locations you input. The management team can record, monitor, track and evaluate each employee’s claims through the app too. Ms.Winkly has a simple calendar that shows the upcoming company events, leaves, birthdays, tasks and more so that everyone in the company can be aware on what’s going on for the month. Although the app officially launched today, the team have actually spent a few months working on Ms.Winkly as during their testing with a few companies from various industries, they realised that their solution didn;t fit the nature of their businesses. So they spent a good amount of time rethinking their strategy and working out the quirks to create Ms.Winkly into the app it is now. Though it has handy features, we’ve seen similar services in other brands that may have a stronger foothold with local companies such as Swingvy and Kakitangan.com. So I questioned what were the key elements that set them apart. According to the team, they believe the simplicity of how Ms.Winkly looks and operates is one of their unique selling points. Their system is geared to be very user-friendly with a simple interface. They elaborated by mentioning their target market being startups or SMEs who do not have a HR department to begin with and are looking for a straightforward solution that could manage the 5 to 10 people they have in the company. “Most of the competitors in the market offer what we call a mirror of the existing web-based HRMS system. It is expensive and too complex to use. The app is only added as a front-end tool and nothing much changes, users would still need to key in multiple steps to get a request done,” said Diyanah. 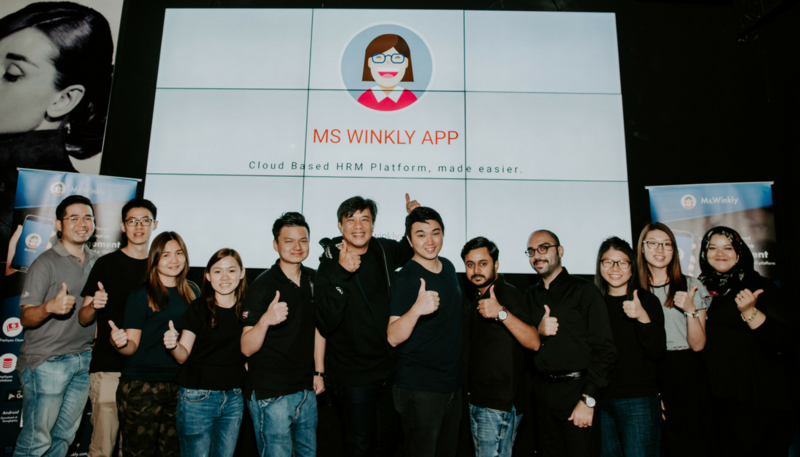 With their app being offered in both English and Mandarin, they’re hoping to be able to make Ms.Winkly easily accessible by those who may just be starting out with their business and can’t afford to spend a lot to keep things efficient for their employees. After taking a look at their rates, I will say they’re competitive in terms of pricing. They have a basic version which is free and it comes with the leave and task application feature. Their premium plan comes at RM3/month for one user which includes the basic features and the attendance service. Their priciest plan costs RM5/month for one user and it includes everything mentioned so far as well as the claim management service. At the launch, it was mentioned that they’re planning on implementing a payroll feature in future updates. But Do We Really Need Another One? I’m personally a believer that there’s nothing wrong with having multiple options in the market as it could cater to different audiences. Having said that, I don’t see anything particularly unique about Ms.Winkly compared to their competitors that are already in the market. It’s almost like a staple for HR platforms to already allow these basic features such as leave application and a calendar. The two competitors we mentioned earlier also have their own apps. But it does boil down to what you’re looking for in terms of managing your company. If you have a lot of workers who work remotely or place particular importance in keeping track of how many working hours your employees are putting in, this could be another option to take a look at before making your decision. Global Line Network is giving free usage to the first 1,000 users who download the Ms.Winkly mobile app for the iOS and Android so you can give it a try for yourself.